I supposed I should start this review by telling you that we’re looking at a book that’s all about a faith crisis and journey. Ted Dekker doesn’t end with no faith, but a different faith than he started with. This is a book by a Christian that questioned his relationship with God and built a deeper more meaningful one. It took anguish and searching, but he ended firmly with God again. If that’s not something that you want to dig in to, then you should stop right now. The crisis that Dekker talks about in Waking Up is a crisis of his experience of faith, not one of the doctrine of faith. Mine was less a crisis of doctrine than a crisis of experience. What I thought I believed wasn’t bearing out in the world around me. It just didn’t add up. Didn’t Jesus say that whatever we asked in his name would be done? But it wasn’t being done, not in my life, nor in the lives of anyone I knew. And didn’t Jesus say that those who followed Him would be known by their radical ability to show kindness to those who were cruel to them? And yet Christians aren’t generally known for their love any more than their neighbors are. He just didn’t see the faith talked about in the Bible in the life he was living or in the lives of those he interacted with. He was seeing wild success in his writing career. More people were purchasing his books, and yet his faith was feeling empty. The purpose of Waking Up is to chronicle the personal journey for us. To normalize that faith is lost sometimes, and that it takes work to get it back if it’s something we want. This little booklet chronicles a very personal journey that is secretly all too familiar for nearly all. On the journey, we eventually see that we lose faith all the time. But on that same journey, millions of Christians are awakening to new faith. 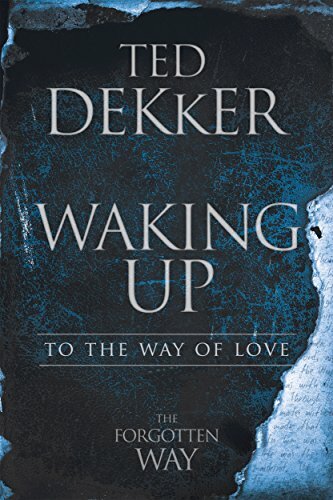 Dekker wants to show us that this new faith we can wake up to is so much more powerful and real than the faith we have been living. One of the fundamental principles of life I strive to live by is that my word should be true. When I say I’ll do something, I’ll do it. This is a key point for Christians as well. We are told to let our yes be yes and our no be no (Matthew 5:37). If we’re not doing this, then we are not living the full life and faith that we are called to. If there is one elephant in the room among most of us who call ourselves Christian, it is that what we think and say we believe and what we actually experience are all too often two, radically different realities. We need to realize that we are all people and thus make mistakes, but far to often we react poorly to being called on our faults. People of faith should be willing to dig in at wrestle with those things that turn out to be incongruent with their faith and practice. Regardless of your faith background, you should be asking yourself: What does the way I treat people say about me? The primary evidence shown by those who know the Father is this: love. Jesus was just as clear: Not just any love, but an extravagant expression of love that is kind to those who are cruel to us, not only those who show us love in return. I’m sad to say that I read the news regularly and hang my head in disappointment when I see people of faith treating others as “others”. Treating people like they don’t matter for whatever reason, be it skin colour sexual orientation or anything. I wonder how they can call themselves Christians and act as they do. I know I couldn’t. This next passage made me think about my own faith journey and how my faith is showing itself in my day to day interactions with those around me. What matters isn’t our stated belief and doctrine but how we live and what we experience in the story of our lives, as Jesus, John, James, and Paul all make so abundantly clear. It’s our actual experience and expression of life that shows us and the world what we truly believe and to what extent we truly love, not what we say we believe or who we say we love. If we say we have faith, but the workings of our life don’t reflect that faith, that faith is either asleep or dead. Some days I feel inadequate as a husband. Some days I live up to that inadequacy as I say and do things that harm my marriage. The same concerns and actions happen some times in my journey as a father. I’ll yell at my kids and act in ways that I never want to act. I did try harder, but all to no avail. Unfortunately, many churches capitalize on this feeling of unworthiness. They build up how broken people are and that we are entirely unworthy. While we are, this should not be a stick used to beat people over the head with. It should be used as a tool to recognize the grace in to which we fall. Dekker explores this feeling of unworthiness as it came about in his life. He felt it deeply and anguished over it. And so I did. There, in the darkest of nights, weeping, I closed my eyes, let go of who I thought I was and who the Father was, stepped off a kind of cliff, and I free-fell into that space beyond mere intellect where faith and love are found. In many ways his journey follows that of so many that get some sort of redemption. They must hit rock bottom before redemption can happen. Drug addicts and alcoholics do this. They hit a spot from which they can’t imagine anything lower and only then take a step towards healing. Dekker realizes that who he already is, is worth the love of the God he’s been searching for. He just has to realize that warts and all it’s okay to be himself. My journey wasn’t becoming more than I was, because I was already complete. Rather, it was to awaken to or see who I already was because when and as I did that, I found myself rushing to my Father’s table where His fruits were peace, love and power in limitless abundance. I remember having a similar realization in my dating life. I always spent so much time trying to be some perfect image of what I thought a guy should be. It was only when I realized that a lasting relationship would necessitate that whomever I met loved me for exactly me that I was ready to meet the woman I have been married to for over 15 years. One of the final points that Dekker makes is that faith is cyclical. If you journey to a new found recognition of how amazing your faith is, you won’t stay there. Life consists of cycles of remembering and forgetting, and I, like you, still forget far too often, every time I get anxious or feel like a victim. And in that forgetting, my view is clouded once more until I remember who I am and surrender who I am not. In fact life is cyclical. There have been amazing years in my marriage, and years that were more about going through the motions and showing up. There will be more of each in my marriage. My business has seen this as well. Years where I double it and years where it shrinks drastically. More times like that will also be on the horizon. The important thing to remember is to keep showing up. Keep learning about what it takes to be that awesome spouse. What it means to grow in your faith journey. What it means to still have a winning business. Then, go through these new motions and invest in the thing that you are working on. Don’t get discouraged when it steps back again, keep going. Keep striving to be just a bit better than you were last week or last month. Eventually things will take a turn, but you have to keep showing up. Should You Read Waking Up by Ted Dekker? If you’re a Christian struggling with what faith is to you then yes you should. I can’t promise that you’ll have the answers at the end, but you will be asked more questions that let you dig deeper in to your faith. Hopefully it helps you get to a spot that you can reconcile your faith and your life. Yes you should read Waking Up. If you’re interesting in digging in to the spiritual journey of someone else on your quest to find what faith and spirituality means to you, I think this is a good read. Again, you may not have all the answers you seek at the end, but you will have asked yourself good questions. The 5 simple declarations of The Forgotten Way are a great read to inspire Christians on their journey. I can see many printing them off as a bit of a guide book to their life. If you’re put off by faith, then no you probably shouldn’t read it. You’ll be put off by Dekker’s journey and conclusion. Find something else to help you with whatever you’re currently struggling with. This is a look at Ted Dekker journey from not really feeling like his faith was real, to making it real in his life.